I cannot express in words how good this key lime cream cheese frosting is!! It is like eating key lime whipped cheesecake! It is the authentic taste of the Florida Keys! You will not believe how good it is! ** Also this version of key lime cream cheese has a mild key lime flavor. 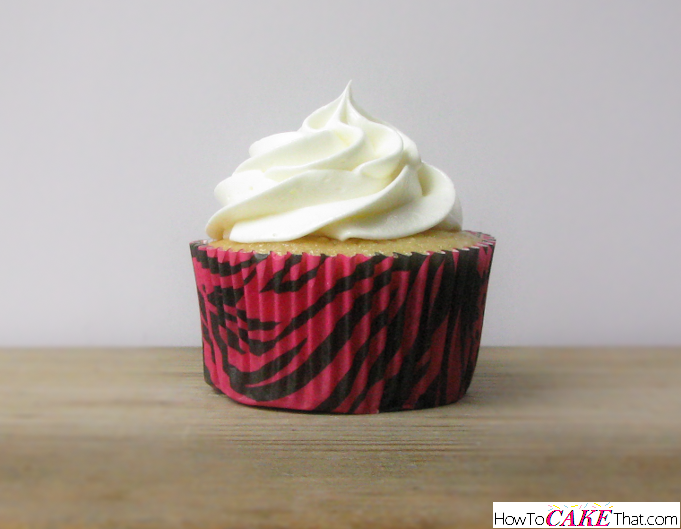 The cream cheese flavor really stands out with a very light hint of key lime. 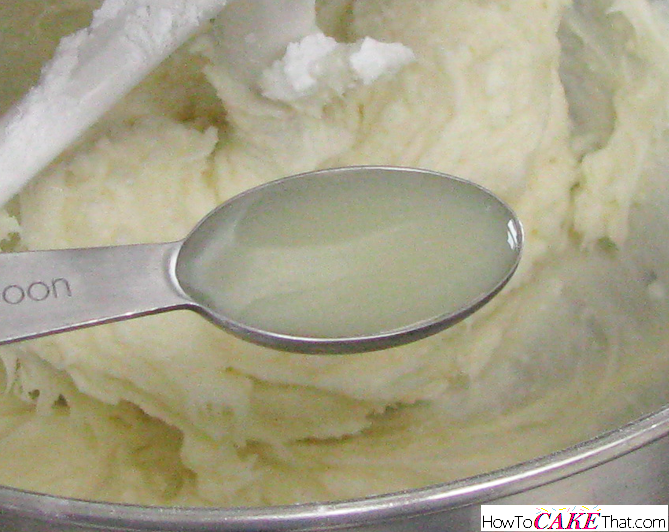 This frosting is meant to be paired with key lime cake. Key lime cake paired with this key lime cream cheese frosting is a perfect match... they compliment each other so well! 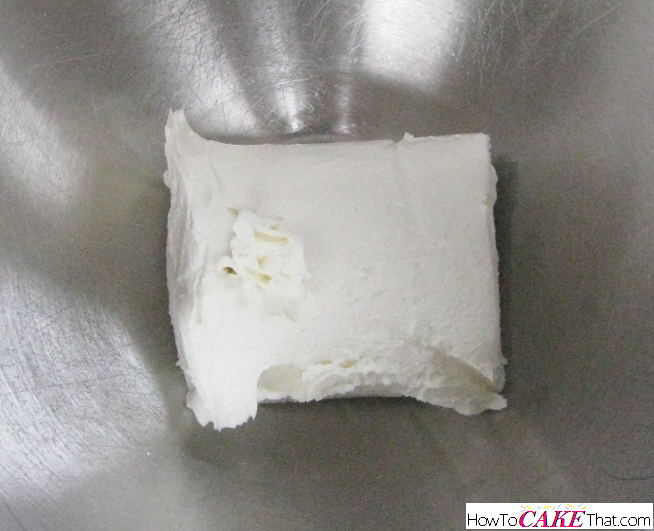 To begin this recipe, place 5 ounces of full fat Philadelphia Cream Cheese (the kind in the box, not the kind in the tub) into the bowl of a stand mixer. 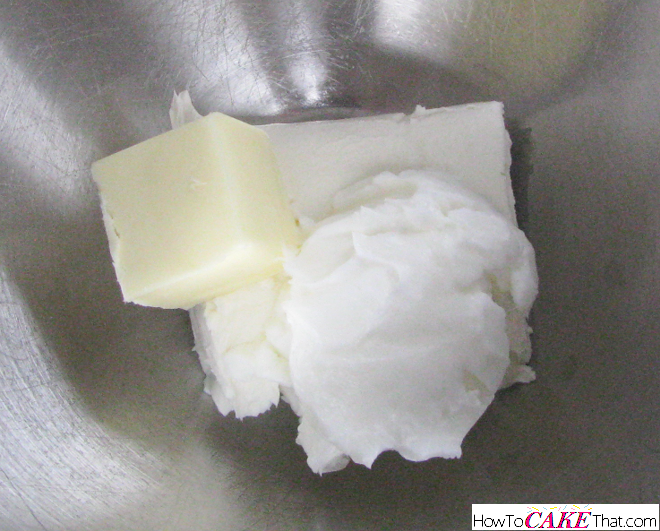 Next, place 1 ounce (2 tablespoons) of unsalted butter into the bowl. 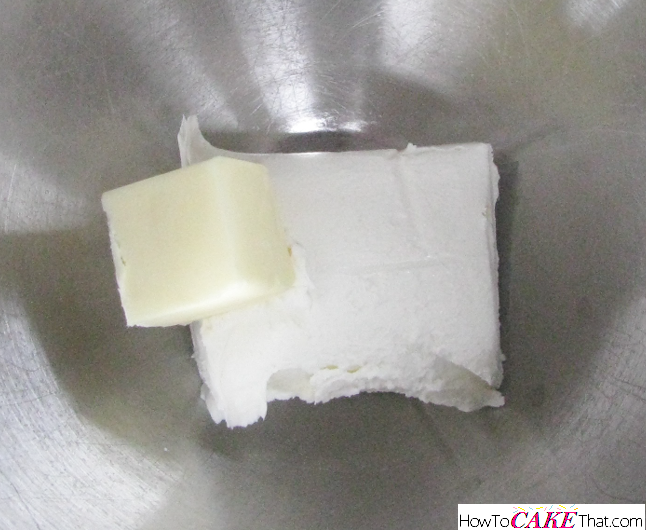 Next, add 2 ounces of high ratio shortening to the bowl. 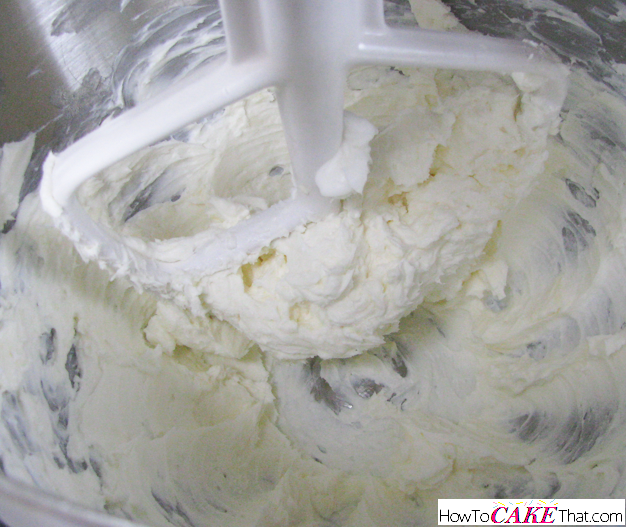 Using the paddle attachment, cream together ingredients on low speed until well combined. 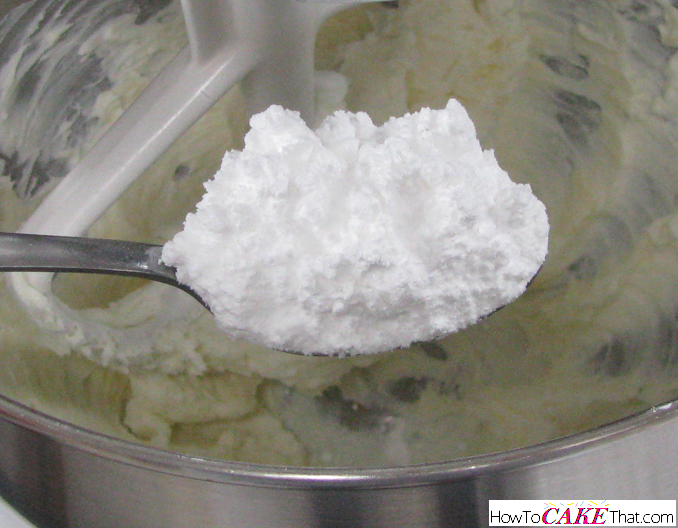 Next, add 9 ounces of powdered sugar, a little at a time, to the bowl. Blend on low speed between each addition. 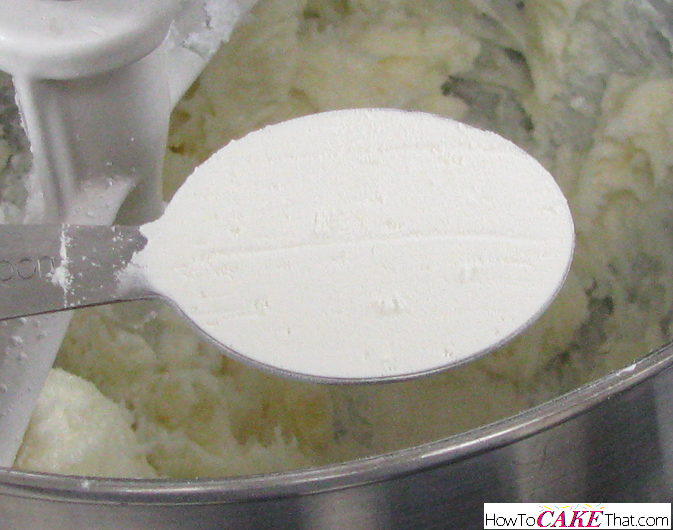 Add 1 tablespoon plus 2 teaspoons of Wilton Meringue Powder to the bowl. Blend on low speed until well mixed. Next, add 2 teaspoons of authentic key lime juice. I'm using Nellie and Joe's bottled key lime... this is the BEST quality bottled key lime juice! 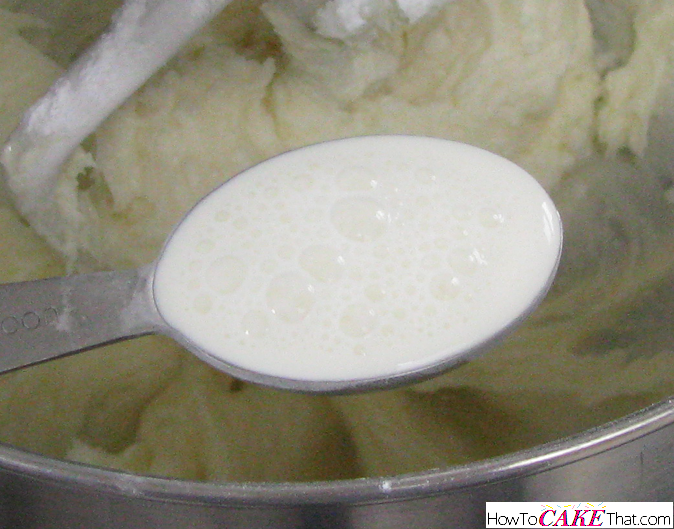 And add 1 to 2 teaspoons of heavy whipping cream to the bowl. 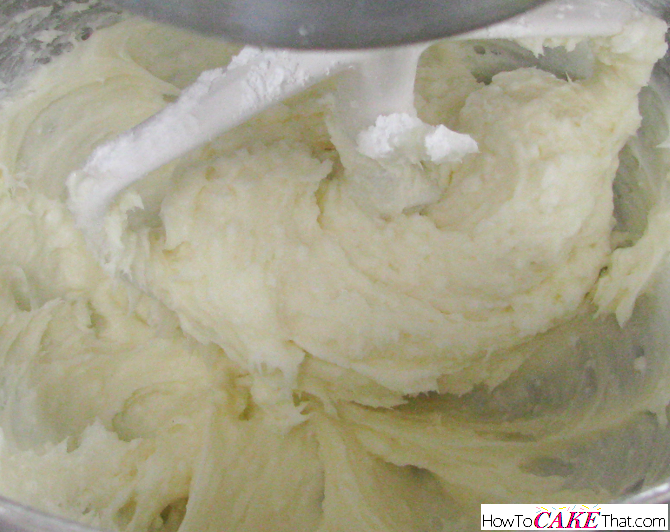 Using the paddle attachment, mix ingredients on highest speed for about 5 minutes, until light and fluffy! 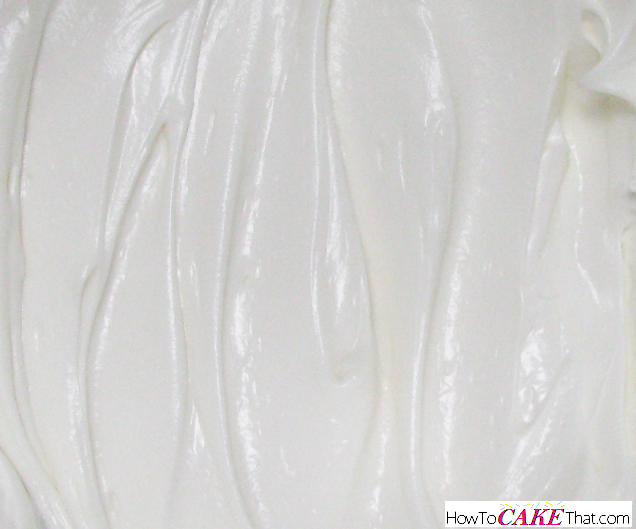 And that's how you make this super delicious authentic key lime cream cheese frosting! It's so light and fluffy and can be eaten by the spoonful... just like whipped key lime cheesecake! Yum! !